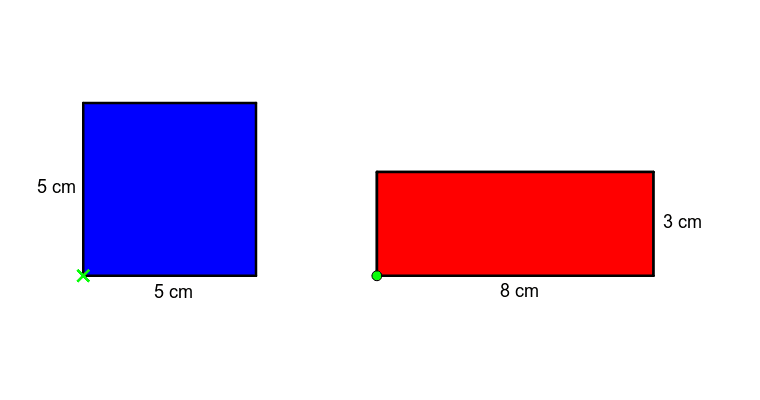 Which figure has a larger size? Drag the red figure so that the "●" overlaps the "×". Click "Cut" to cut the red figure.